What are your thoughts about the following article? Leave a comment Am I Appropriating? Registration for participants will open the first week of June. On a recent trip to her local farmers market in Victoria, B.C., poet and broadcaster Janet Rogers was surprised to see a non-Indigenous artist selling a colouring book in the Northwest Coast style. That set her on a journey to find out just how much protection Indigenous artists in Canada have from cultural appropriation. 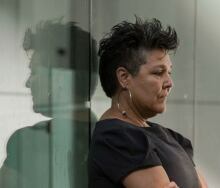 She found Shain Jackson, a Coast Salish artist and former lawyer who is the project leader for Authentic Indigenous: Arts Resurgence Campaign, a B.C.-based group that promotes and supports authentic Indigenous artworks in the marketplace. 1. What is cultural appropriation? JR: Cultural appropriation can be defined when one person from one culture takes culturally distinct items, the aesthetics or spiritual practices — and in this case artwork — from another culture and mimics it. They adopt it as their own without consent, permission or any cultural relationship to the object or practice, in order to make money or just because they think it’s cool. 2. How is it harmful to Indigenous art and artists? SJ: It really is our number one source of private direct revenue into our communities, so it’s got a huge economic impact. From a cultural side, it’s a written language here to us on the coast. A lot of people don’t understand that when they are appropriating our artwork that our history, our culture and even our laws are codified into this, so that when you take it and you manipulate it and you bastardise it and you put it out there as your own without understanding the meaning, you’re doing significant damage. 3. When efforts to educate artists on issues of appropriation fail to have an effect, what other options are there? SJ: If you go on our website, what we do is we have a branding scheme. So say it’s a product that’s being sold in a store or a gift shop gallery, it will have our brand on it, which takes them to our website. It will have the artist’s name on it. Well, connecting the consumer with the artist leaves it up to the consumer to decide whether or not that’s authentic to them. What this program does do is it does bring the truth to light so people can make decisions for themselves and generally they make the right decisions. JR: What I like about Authentic Indigenous is it empowers and educates the consumer. So when you have an educated consumer, they then have the opportunity to send a powerful message to artists that says we support authentically Indigenous-made art, and they can redirect that revenue stream back into Indigenous communities. 4. Participation in a project like Authentic Indigenous is voluntary as there is no national legislation to this issue in Canada. How do our American neighbours deal with cultural and artistic appropriation? JR: The Indian Arts and Crafts Board, which operates through the Department of the Interior in the U.S. in Washington, D.C., was put in place to address the issue of native items made by non-native people or manufacturers and being sold as native made. Their concern comes from a more “truth in advertising” focus, where there are fines of up to $250,000 or [a] five-year jail term if prosecuted. 5. What should someone do if they come across culturally appropriated art or crafts? JR: I hope everyone listening right now will feel educated enough to make good consumer choices this summer and feel empowered enough for when they see culturally appropriated art or clothes or spiritual practices that they will say something or at least engage in a discussion. That’s the beauty of the summer market, you get to meet and speak with the artists who make the art.